Graveyard Vineyards is a distinctive and unique property nestled in the Pleasant Valley Wine Trail. This picturesque property is a perfect setting for weddings and special events. Our property boasts a large pond with a walkout dock bordered with mature weeping willows. Beautiful oak, pine and other trees, along with a landscape of rolling vineyards, surround our hilltop property. Graveyard Vineyards is not only a charming venue for weddings, but can host many different types of events from birthday or retirement parties to corporate events, outside, in our barn-style tasting room and/or in our barrel room featuring a gorgeous chandelier. We can assist you in making your event a wonderful success, from flowers to entertainment. 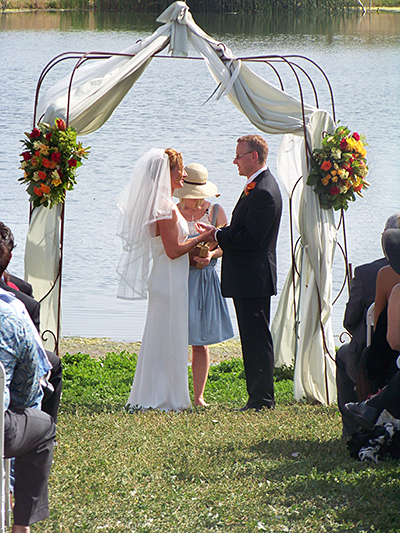 Our wedding coordinator has a list of vendors to choose from and Graveyard Vineyards has a Wedding Officiate for your wedding and renewal of vows. Click here for PDF of private event details including pricing, reservation form and venue policies. For smaller, private events we work with your budget. Please contact info@graveyardvineyards.com to discuss your special event.